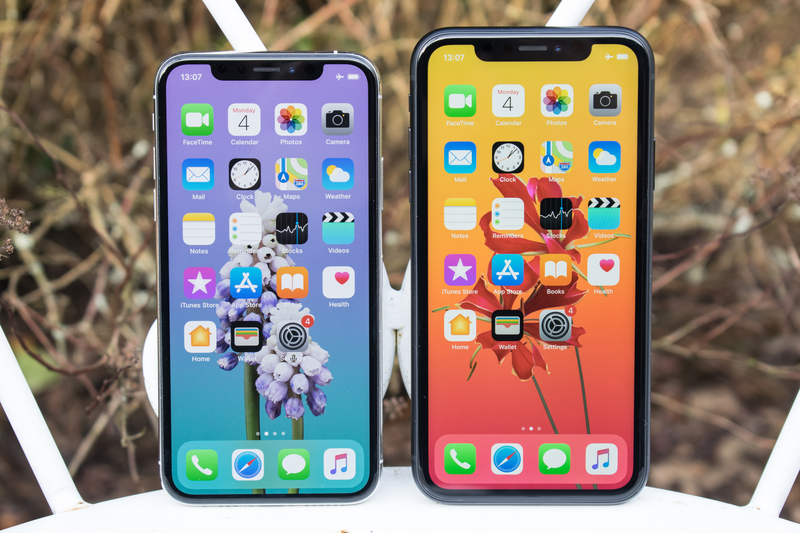 The latest generation of iPhones have been out for a couple of months now – we’ve extensively reviewed the iPhone XS and iPhone XS Max shortly after their official release. 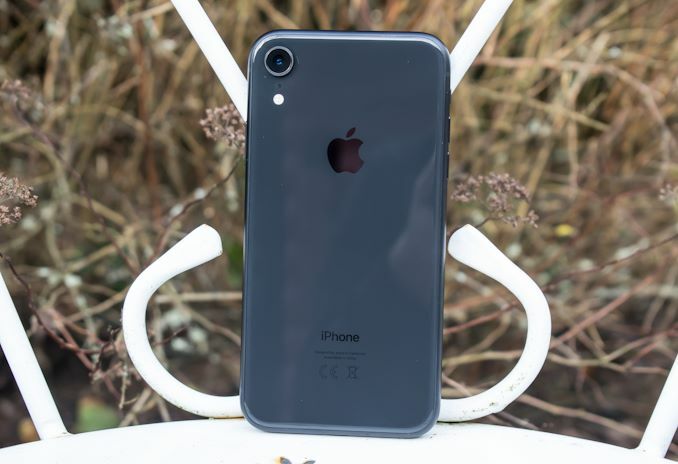 Missing in the review was the lower-tiered iPhone XR – the main reason for this being Apple deciding to release this variant a month after the original XS models had become available. Today, albeit a bit late, we finally got the chance to get our hands on a unit, and investigate some of the differentiating factors of the iPhone XR – such as the LCD screen and the phone’s overall battery life. The iPhone XR is an interesting product for Apple: It is clear that it aims to be a lower-cost alternative to the higher-end XS flagships. 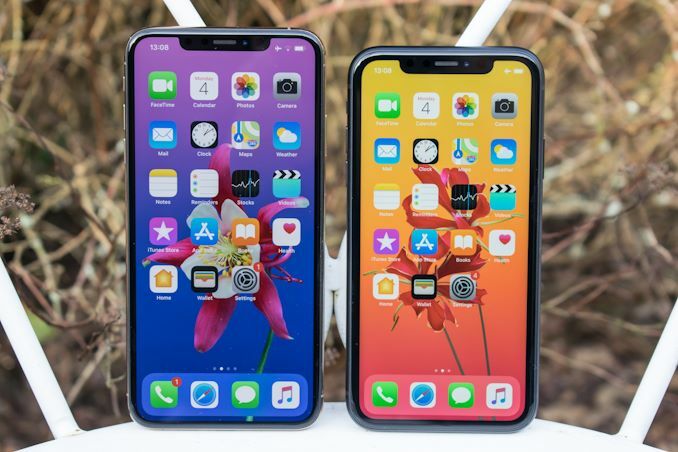 Yet at the same time it’s not directly an alternative to either the XS or the XS Max, and rather represents a model that squarely fits in-between its two higher-priced siblings. Back when I first laid my hands on the iPhone XR at Apple’s launch event, one of the things noted was that I believed the iPhone XR was going to become the most popular choice among Apple’s current smartphone generation. A couple of months later, and probably with some hindsight, it seems that Apple’s decision to not release the XR at the same time as the XS and XS Max might have actually shifted a lot of users to just jump on the higher-end models, rather than to wait. Let’s see if the iPhone XR is still a good alternative to the new XS – and in particular let’s address the elephant in the room that is the display as well as battery life differences that are specific to the XR. Starting off with the specifications, the iPhone XR has very similar hardware to the iPhone XSes: At the heart all the models, we find Apple’s latest A12 SoC. The A12 made huge impressions by delivering some outstanding performance and power efficiency – showcasing some incredible figures that are near those posted by some of the best desktop PCs. An especially big leap in this generation was Apple’s new GPU, which combined with the new 7nm process node has made for some impressive improvements in terms of power efficiency. In terms of differences in the internal hardware capabilities, the only high-level divergence to jump out is the fact that the iPhone XR comes with 1GB less DRAM than the 4GB XS variants. For general use-cases, I haven’t noticed a meaningful difference between the models in this regard and I don’t see it as an issue. Other internal hardware difference that can’t be seen are on the connectivity side. 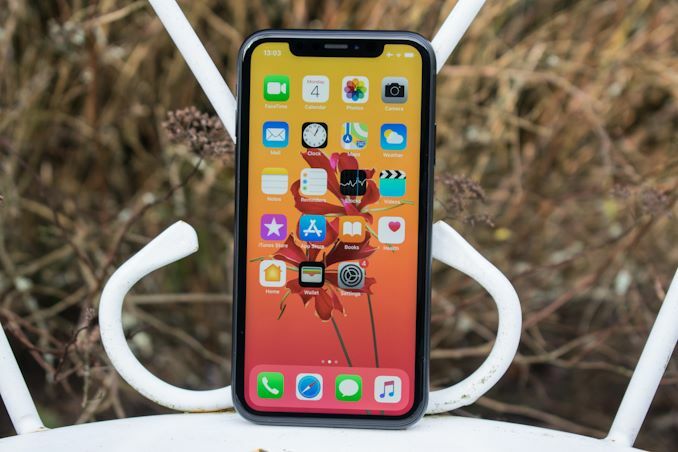 The iPhone XR offers the same maximum cellular connectivity speeds as on the iPhone 8, with LTE speeds topping out at Category 12 rather than the Category 16 speeds the underlying modem is capable of. 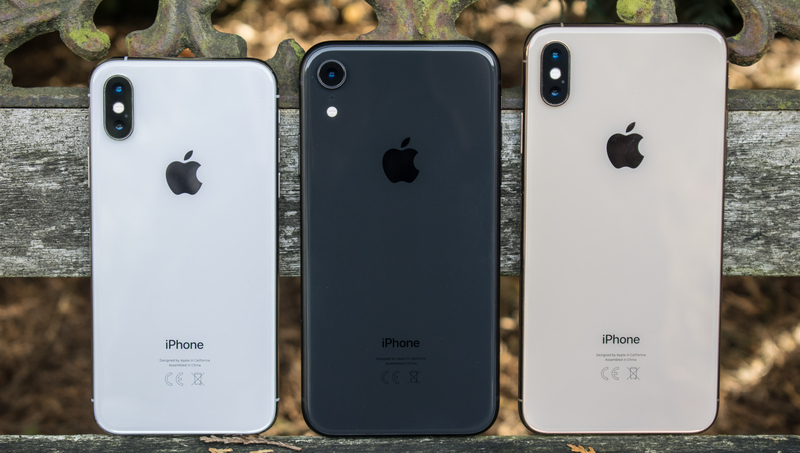 The reason for the change here is due to the lack of 4x4 MIMO on the iPhone XR – this difference can actually been seen externally, as the XR lacks the two new antenna segments that were introduced with the iPhone XSes. From a design perspective, the iPhone XR’s back is a bit more similar to the iPhone 8 than it is the iPhone XS. The big change here from the iPhone XS models is the obvious lack of a second telephoto camera module. The main camera sensor is still the same 12MP module as found on the new XS – this means an improved and larger sensor with 1.4µm pixels, an f/1.8 aperture lens as well as OIS. Going into this review we weren't really expecting the iPhone XR's rear camera to perform any differently than the regular XS, and our camera testing has confirmed as much. It's on the front of the phone where we find the most obvious differences relative to the XS models: The iPhone XR comes with a lower resolution LCD panel rather than the OLED displays employed by the XS. Over the last few months the LCD display on the XR has been quite a focal point of many discussions – mainly arguing about Apple’s choice of going with a quite lower pixel density than what we would have expected for a 2018 iPhone. We’ll be revisiting the display panel’s performance later in the article as we literally take a closer look at the panel as well as its calibration. 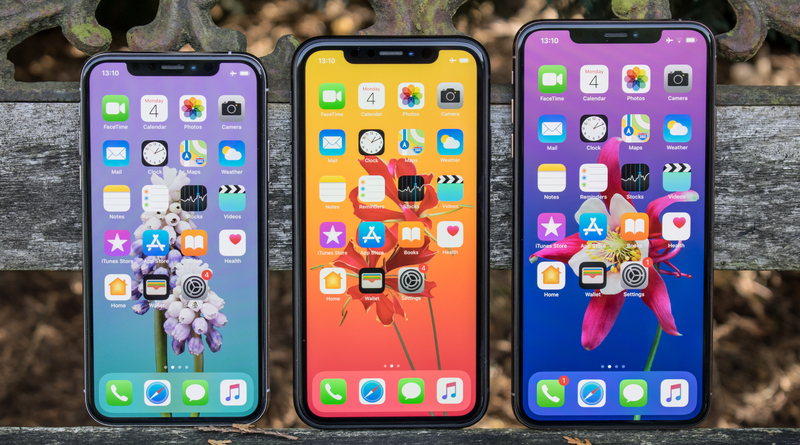 If for some users the difference between the LCD and OLED panels are hard to distinguish, another telling aspect of the iPhone XR over the XS models is its thicker bezels on all sides. When Apple launched the XR I was quite surprised at this design choice. The reasoning for it is that Apple wanted to keep a symmetric design on all sides – and with the LCD panel of the XR it seems that Apple wasn’t able to get a quite as thin a display controller lip as on the OLED panels of the iPhone X and XS. The difference is immediately visible and personally I don’t find it very endearing for the phone, as the new bezels are actually thicker than any past iPhone. 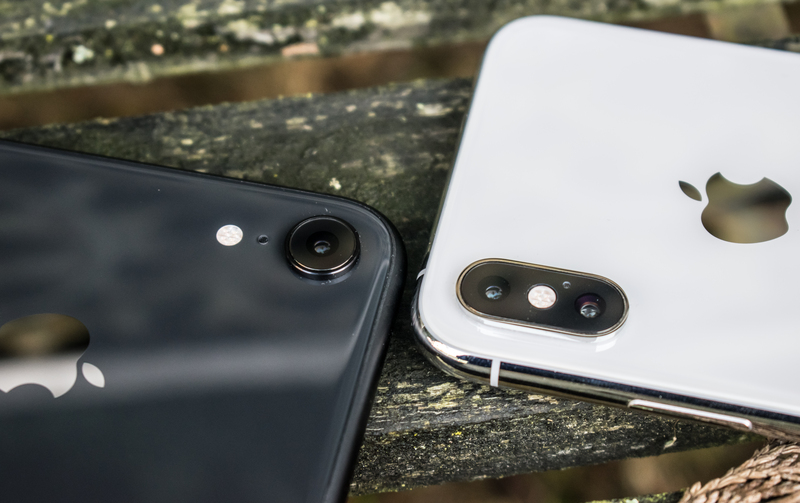 The comparison to some recent Android phones is even less favourable for the XR, as some have side bezels of less than half the size, even those with LCD panels. Another point of discussion is the size of the iPhone XR. The phone falls in the middle in terms of size, in-between the smaller XS and the bigger XS Max. Apple here had to find a balance to satisfy the majority of users while avoiding a total of four phone variants. I think the XR’s size falls in a very good middle-ground that is becoming more and more popular with handset vendors. While the XR’s 75.7mm width is also within this “sweet-spot”, its in-hand feel does not directly match the experience that I’m accustomed to for phones of this form-factor. The reason for this is that the iPhone XR comes in at 8.3mm, around 8% thicker than the iPhone XS and XS Max. While this might not sound like much, on a subjective level I find that it make a big difference to me. And even though, for example, the XS Max is a wider phone at 77.4mm (above my preferred size), I do like it more than the XR, as I feel it to be easier to hold. It’s to be noted that Android phones similar in width to the XR are almost all more ergonomic to hold – this is due to sloped sides on the back essentially becoming a norm amongst most manufacturers. Overall, I have mixed feelings about the design of the iPhone XR. On one hand, it’s absolutely something you can get used to, and there are users out there who subjectively prefer a symmetric bezel design over thinner side-bezels. The one thing that surprised me more than I anticipated is that I didn’t like the ergonomics of the XR as much. I feel that the phone would have at least benefitted from a lower weight – again here at 194g it’s very much on the heavier side of the scale compared to similarly-sized phones. With all of that said, the one design choice of the XR that I actually prefer is that it still has brushed aluminium sides as opposed to the polished/glossy steel on the XS models, this allows the XR to have notably better grip and is more akin to what we find in older iPhone models. How can you not tell the difference in display?